Two of Japanese Bands Tour in US 2017 ! Established in 2009 by composer & singer “RIN’s imagination. As their band name, these three girls are expressing all of their life & souls though their music. Based in Tokyo, Japan. No user commented in " Super Japanight Finale! 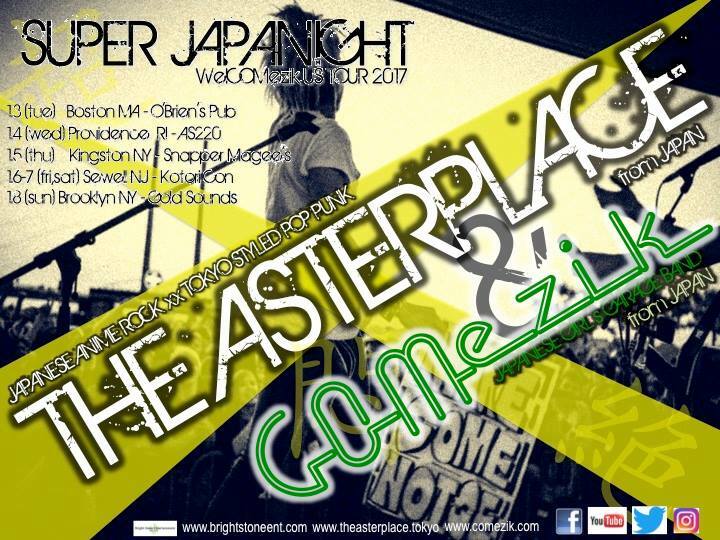 The Asterplace & COMezik from Japan LIVE "